To make a house a home it’s quintessential to incorporate your personal style into the overall design. How do you make long term investments while avoiding temporary decisions influenced by the latest trends? Transcend flooring trends in your home by choosing a quality product that will last a lifetime. Invest in products based on the three “N’s” – NEED, NATURAL, NEUTRAL. Know yourself, your environment and your family. Do you live in a humid climate? Do you have kids? Do you want radiant heat installed under your floors? Engineered flooring is the way to go. The engineering process results in a much sturdier plank than solid wood flooring does. 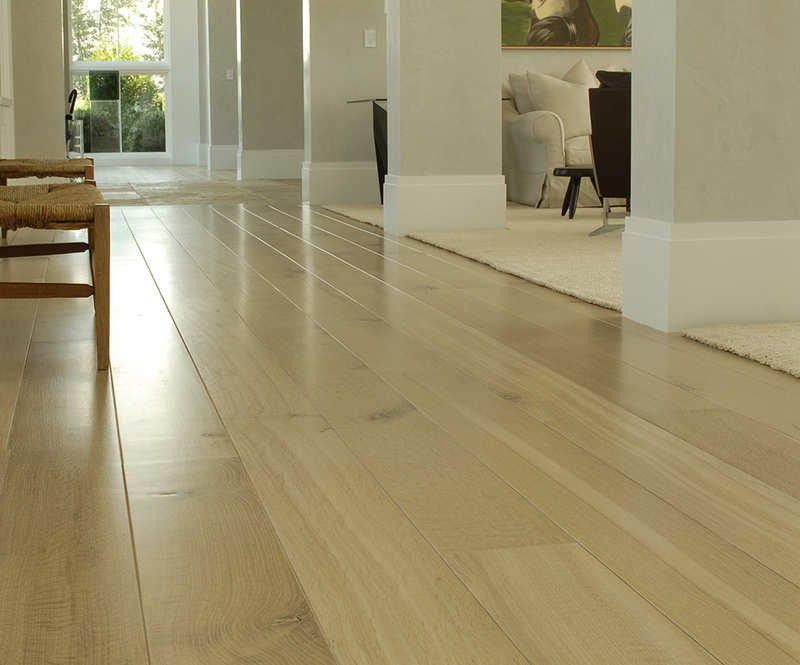 Engineered wood is able to resist changes in humidity a considerable amount more than the average plank. Kids will spill. Liquid effects engineered wood much less than it does solid. You can NEVER go wrong with natural products; natural will never go out of style. Not only is a natural product healthier for you, your family and the earth, it is beautiful! Our wood flooring comes from sustainable forests that are finished with a natural soaping method. This soap conditions and adds nutrients to the wood with every use. Don’t go too out of your comfort zone when it comes to wood type/finishes. Again, it is essential to know yourself & your style. If design isn’t your forte, choose a tone that is fairly neutral. Natural translucent finishes that allow wood grain to show through will be your best option. Add a pop of color in the more ‘temporary’ pieces of the design such a throw pillows, picture frames or wall color. These items will be much easier & inexpensive to change in the future. Keep these three simple tips in mind and you’ll transcend flooring trends. Invest in a quality product that will stand the test of time.